Additional video (NG, review of the scenes, BTS etc) : Total of 500 minutes. There will be EP20's scriptbook including of 15 actors/actresses' greetings and signatures. Postcards: The 5 actors/actress who are involve in the reviewing of scenes and <The Inheritors> official poster's design? (1 of it among the 2 designs), total of 6 pieces of postcards. Price: $125~$150 USD without delivery charges. PD Kang Shin Hyo, Lee Min Ho, Park Shin Hye, Kim Woo Bin, Choi Jin Hyuk, Kang Min Hyuk. 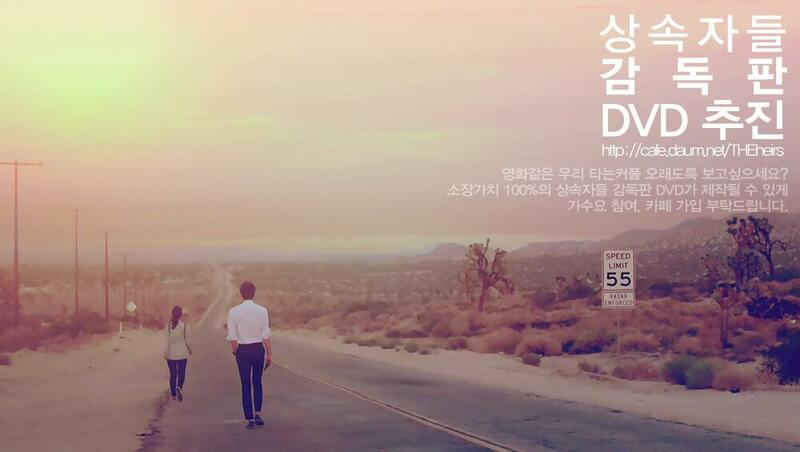 Hello everyone, the production team of SBS drama 'The Heirs' is deciding whether or not to make Director's Cut DVD and sell them to foreign fans (the production team has confirmed with us that the DVD will include English subtitles.) The Director's Cut DVD will be similar to the 'You're Beautiful' D-cut DVD released in 2009, which included exclusive BTS, cast interview and special souvenirs. When will it be on sale: in 3 months' time They are now doing a survey to estimate the number of copies. If you are interested, please email (your full name/country you're living in/number of DVD you would like to order/email) to theheirsdvd@gmail.com . Yea ..they should produced it every where...may be they don't have any idea that kdrama is very much popular in india.nepal.France. swiss n new york...especially the heirs (lee min ho & park shin hye ) are well known by everyone.. They are also very popular. Lee Min Ho is my favorite actor...so i like and i alraedy have all dvd of Lee Min Ho drama.so..i want to buy dvd the heirs original from korea.I hope .. 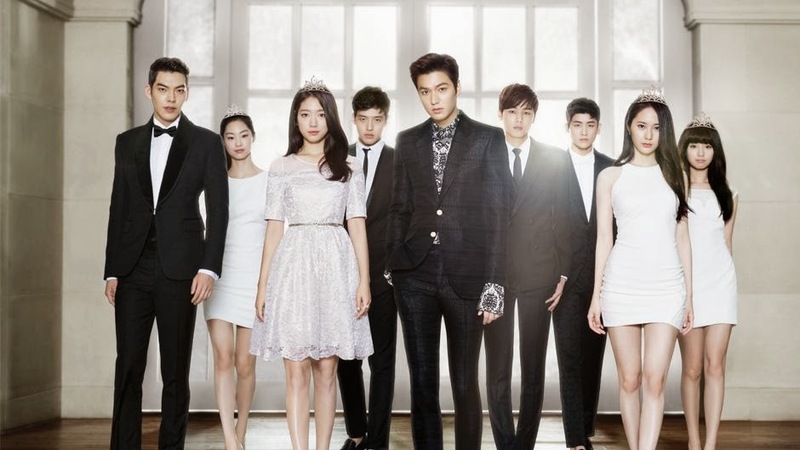 I like The Heirs.... I love Cha Eun Sang - Park Shin Hye,so I really really want to have that DVD!!! Everyone must participate now !!!!! Any Chance to have the DVD w/ Chinese Subtitles? Great news! When do we start to order? When will we see pictures of the special event on Dec17, 2013. I read on PSH_IFC that she wore a pink suit. Excited to see the pictures and read the news. Do you take order from Hong Kong ? OR it will release here? Really would like to have the dvd's in English subtitles. so, this is only like an extra matirial not the drama, right? It includes both the drama, Pegasus deleted scenes, and extras. So are we have to buy it once we sent out the e-mail ? Le Min Ho is my favourate actor.This drama is I very like. All 271,000 Won ? Why so expensive ? i love to buy.. umm how much does it cost here in the phil? Will it release everywhere and not just on the internet ? How much will it be here in Malaysia ? I love Park Shin Hye and Le Min Ho. I hope that they 'll visit my country.